Sarah Brookfield is celebrating her 18th year with RE/MAX and is consistently in the top 5 in the region in sales. 2017 was an exciting year for the Team as they were recognized as the #1 Team for RE/MAX in the state of Kansas! Sarah is a long time Kansas City resident who spent 21 years in advertising before joining RE/MAX. She has built a very successful real estate business based solely on referrals. Sarah believes that if you put the needs and wants of your client first, everyone wins! She is an avid golfer and tennis player. Sarah's daughter Shannan McKee teamed up with her in 2013 to form the Brookfield McKee Team. Together with Kelli Martin, they provide comprehensive service to meet the needs of their clients. Shannan was raised in Prairie Village, KS and attended Shawnee Mission East High School. She earned a Bachelor’s Degree in Journalism from the University of Kansas, where she met her husband of 20 years, Aaron. She worked in the advertising industry for more than a decade when she decided to stay home with their three children Barrett, Georgia and Lulu. She and Aaron currently live in Prairie Village where they just completed an entire home renovation. She has a keen understanding and knowledge of design, construction and logistics associated with a project of any size which is beneficial to her clients. 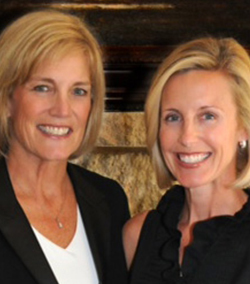 In 2013, she teamed up with her mother, Sarah Brookfield, to create the Brookfield McKee Team. When not working or volunteering at her children’s school, she can be found on the tennis court - usually partnering with Sarah! She loves helping her clients achieve their goals through real estate. The needs of her clients are her first priority, and she will work non-stop until those needs are met. Client satisfaction is key, and her goal is to not only have a client for now, but a client for life. 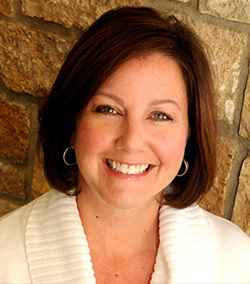 Kelli grew up in Overland Park, Kansas and graduated from the Shawnee Mission School District. She earned her Bachelor of Science degree in Elementary/Middle Education from the University of Kansas with minors in mathematics and English which led to her decade long career as a sixth grade teacher in the Blue Valley School District. As she decided to stay home with her two daughters, Ella and Ava, she continued to work in education by tutoring students in the private, parochial and public school settings in the Kansas City metro area. Kelli enjoys traveling with her family, volunteering at her daughters' school, and photography. She and her husband, Andy, have built one home from the ground up, and as her love of architecture and design evolved, they have since renovated two homes in the "Old" Leawood area. This led to her acquiring her real estate license and joining the Brookfield McKee Team. Kelli not only thoroughly enjoys the buying and selling process, but she prides herself in taking the necessary time to find the right house for her clients to call home. Her clients trust that whether she is helping them buy or sell, her tenacity, perseverance and fairness will afford them their desired results in the end.